Sheriffs are responsible for law enforcement in their counties. They respond to emergency calls, investigate illegal or suspicious activities, make arrests, take control of crime scene and verify that proper legal procedures are being followed in bringing charges against law offenders. People who aspire to be sheriffs must complete a list of requirements. These include the minimum qualifications, educational requirements and training requirements, among other things. Since the position of a sheriff is county-based and determined through elections in most localities, you are advised to thoroughly research the requirements in your area before beginning the application process. If you meet all of these basic qualifying requirements, you can proceed on to the next set of requirements. Even though most counties would require a high school graduation or a GED, having a college degree such as an associate degree in criminal justice or a bachelor’s or master’s degree in a related field would greatly improve your chances of getting the job. As an elected law enforcement official, you will be expected to have relatively more advanced credentials and skills than deputies or police officers. And getting a higher education degree just might be the way to do that. An undergraduate or a graduate degree in any law enforcement related field would teach you subjects such as criminal law procedures, forensics, criminal theory, investigation techniques, patrol operations, basic defense techniques and the juvenile justice system. Being a sheriff requires a lot of hard work and effort. Therefore, before you can become one, you would be required to gain some relevant experience in the field. Majority of the jurisdictions would require candidates to have at least one to five years of experience in law enforcement or any criminal justice related field. In most cases, candidates complete this requirement by joining the police force before they move on to the sheriff’s department. In some localities, having served as a judge might help you waive off the experience requirements. While working as a police officer to gain experience, if you get a chance to work as a supervisor on a project or lead a team of law enforcement officials, be sure to take it. Your work as a sheriff would require a lot of leadership skills, so you might as well hone them while you can. Your training requirements to become a sheriff would be largely completed when you work as a police officer. This would include basic law enforcement tasks such as arresting criminals, investigating criminal activities, use of firearms and dispersing crowds peacefully, in addition to the physical and psychological training requirements. In addition to fulfilling training requirements before applying, you might also be needed to join a county-specific training program. The exact details of this on-the-job training would depend on the county you are applying for. In Oklahoma, for instance, sheriffs are required to attend a training session at the sheriff’s administrative school. Training needs to be completed within the first year of service in most jurisdictions. 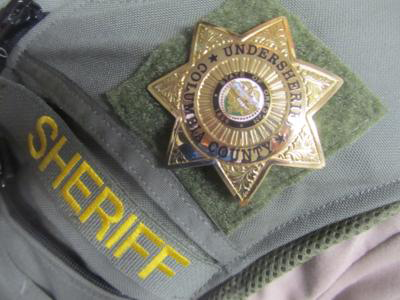 The application process to become a sheriff also varies greatly from county to county, though there are a few common requirements that you may need to look into before you apply. You will be given a written exam that will ask you job-specific questions, in addition to judging your writing and reasoning skills. Following this, you will be required to clear an interview where you will be tested on your communication skills, along with your decision-making, critical thinking and problem solving skills. You may also be asked reasons why you want to become a sheriff and what makes you ideal for the job. Once the interview is cleared, you will need to pass a background check. You might be disqualified if you have any felony convictions, bad financial history, if you are on probation or have substance abuse concerns. If all goes well, a physical test will be administered to determine your stamina, among other things. According to O*NET OnLine, Sheriffs and Deputy Sheriffs earned an annual median salary of $61,050 in 2017. The law enforcement department had 684,000 employees in 2016 with an average projected growth around 5% to 7% in the years between 2016 and 2026. The expected job openings that might be generated in this period are 49,500, which mean plenty of opportunities for aspiring sheriffs. The work environment for sheriffs involves dealing with unpleasant or angry people. You might be working longer hours than usual, depending on the workload in your county. Getting to the position of a sheriff can be a highly competitive path, make sure you are ready to take on the challenge of getting there.